In the hopes that it would get us out in the morning we had set up a departure time with Bob in advance. And it worked! At 8:30 in the morning we left the Whispering Palms Inn in Bob’s truck and made it back to our spot of road from a couple days ago. Right before we got out, Bob’s truck started de-accelerating for no discernible reason and by the time we left him he was parked on the side of the road waiting for a tow truck. Oh no! Come on karma! Aren’t you supposed to help the nice people?! Bob told us not to wait and to still call him at the end of the day for a ride back to town. What a guy. We waved goodbye and did our best to shut down our minds for the long slog ahead. 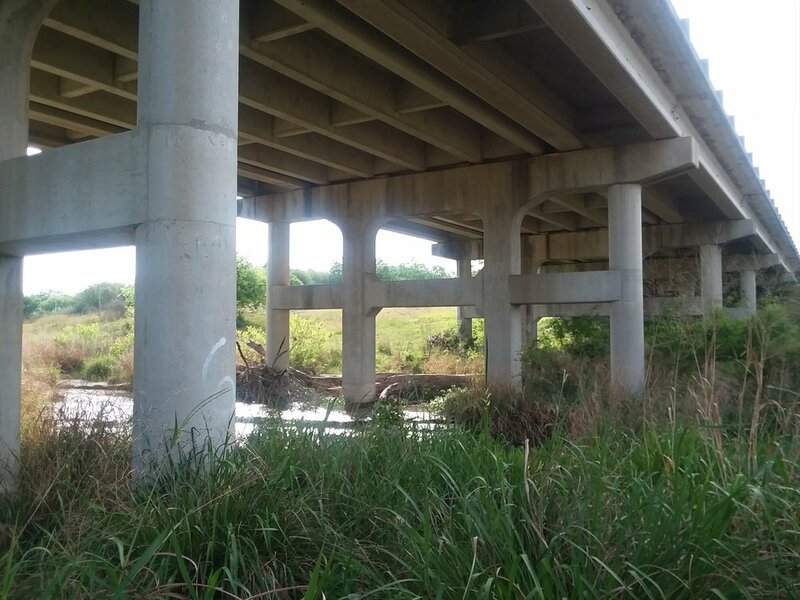 Like yesterday the semis roared by at dangerous speeds only today there were a number of small creeks that needed to be crossed along narrow highway bridges. Yikes. It would be very embarrassing if our trip ended due to being hit by a truck. What of interest could we possibly dredge up from this day? All of the law enforcement officers that we met today were extremely good-looking, so well done Del Rio. We talked to a couple state troopers that pulled over to check on us, after speaking with Bob (still waiting for his tow). 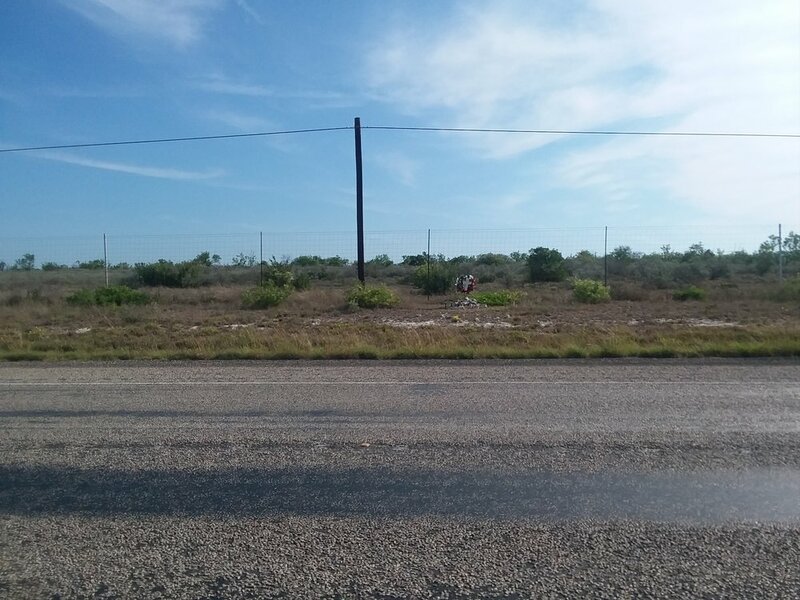 We hopped a fence to walk along the Border Patrol road running parallel to the highway and were suspicious enough of a sight to merit the attention of not one but two BP agents that pulled up out of nowhere. Another BP stopped to chat later in the day, greeting us as the girls that walked from San Diego and telling us that he thought what we were doing “was awesome”. The day started off cool but got hotter after noon and we regretted not bringing more water. Only a couple days off and we were total noobs! At least there were significantly more service roads along the highway and we were able to avoid much of the uneven terrain and roadkill of yesterday. 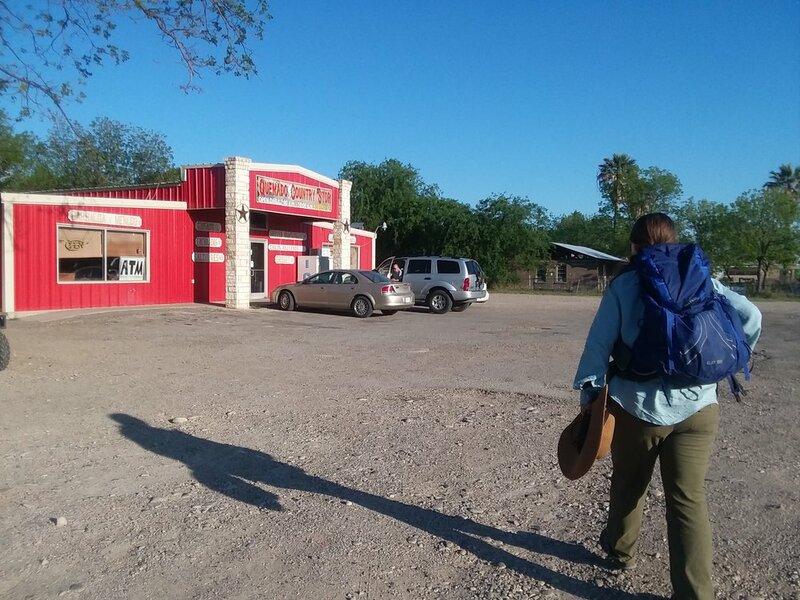 The last couple miles brought us to the outskirts of Quemado, a small farming town halfway between Del Rio and Eagle Pass. As we approached the scrubby bushes turned to a towering wall of green. We passed by a pecan orchard and snacked on handfuls of mulberries from the trees that lined the edge of the road. Our progress was regularly halted by the menagerie of animals in each front yard, all of which had to be oohed and aahed over. Sheep, goats, horses, dogs - we love it! Excuse us while we take yet another puppy video! We meant to stop earlier in the day but we couldn’t get a ride so we decided to keep walking. Bob is the nicest person in the world and offered to pick us up but after the headache of the morning we wanted to give him a break from doing us favors. We thought being in a town would help with hitching but car after car blew by, not one of them slowing down. There was a country store in the middle of town and we figured we could head there, purchase a much-needed beverage and throw ourselves on the kindness of strangers. And we lucked out! After standing outside for only a couple minutes, drinks in hand, a couple in a pickup truck doubled back and let us hop in. David and Gina were the best people. Kind, inquisitive and generous. While their three year-old daughter slumbered in her car seat we covered a lot of ground. They lived in Eagle Pass where David had grown up (Gina was from Del Rio). They had visited many areas along the border and we enjoyed trading stories about parks as far west as Organ Pipe National Monument. 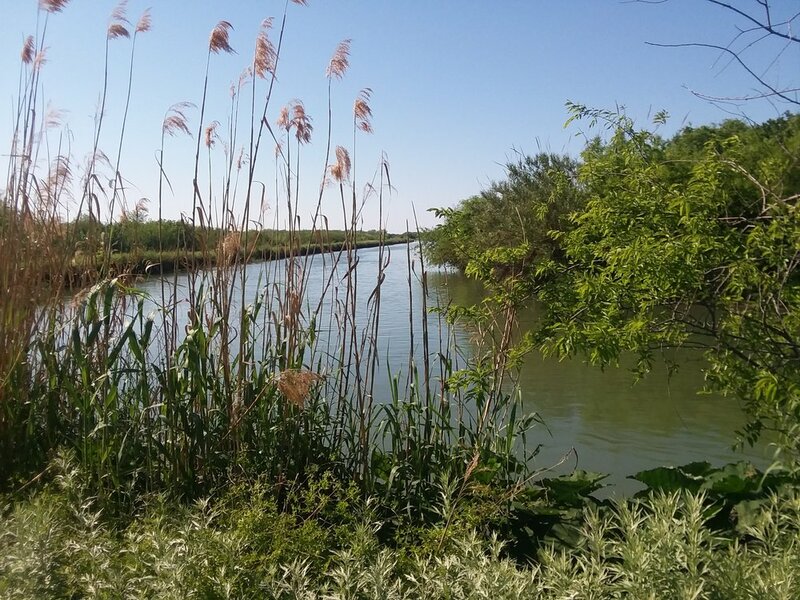 They're part of the Jehovah Witness community in Eagle Pass, which has roughly 300 members and across the border in Piedra Negras there are over a thousand. They had plenty of positivity and hope to share.